Do you need a guest speaker for your organization or event? 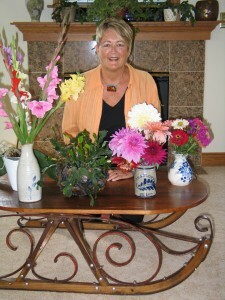 The author, Barbara VanderMolen, has prepared several presentations to fit your needs. 1. In “Every County Has a Story!,” she tells a small story about each of the 83 counties in Michigan; 70 minutes. 2. In “Michigan from A-Z!,” she shares something about our State of Michigan from each of the A-Z categories; 60 minutes. 3. 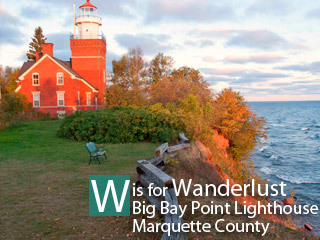 “Michigan from A-Z! Short Version” is the condensed version for those with limited time for speakers; 30 minutes. 4. “Michigan from A-Z! Continuing Education Version” is designed for business and professional groups who need continuing educations credits. She will use her book to show your group how they can use Discovering Michigan County by County to help make a good first impression on that new customer or client; 30-45 minutes. All these presentations are fun-and-fact-filled, fast-paced, educational and entertaining, as well as interactive. All information presented can be found in her book, Discovering Michigan County by County. Her presentation has been VERY WELL received and the participants tell her it is fun and interesting and that they really enjoy it!!! Some even say it is the best book presentation they ever attended! She has spoken to civic organizations, church groups, women’s clubs, local and regional Chambers of Commerce, senior citizen groups, dinner clubs, sportsman clubs, independent living homes, retirement centers, newcomer groups, historical societies, museum groups, and many libraries. FEES: The speaking fee is $100 plus $1.00 per round-trip mile (via maps.randmcnally.com/mileage-calculator.do) to go towards her travel expense and driving time. On average, depending on the distance from her home in Charlotte, she will spend 6-8 hours that day to prepare, drive to, set up, present, sell, pack up, drive home, and do follow-up for each presentation. Call today to reserve a date for your conference or organization. Please contact her at 517-543-3694 or barbvandermolen@hotmail.com . Please feel free to contact any of these venues for a referral.